Arthur Hollins took over the tenancy at Fordhall in 1929 at the tender age of 13, after his father passed away. Following the intensive food production of the war effort, the land left to Arthur amounted to no more than a fallow malnourished soil, but the new farmer was soon struck by the big difference in the rich growth in the untouched woodlands. Arthur grew to understand that ‘Mother Earth’ would correct man-made errors if left to heal herself. 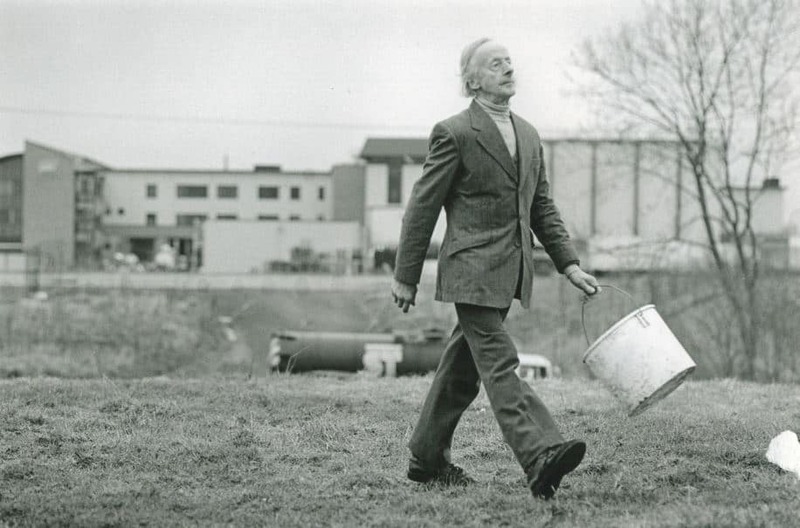 Shortly after the Second World War he vowed never to put chemical fertilisers on the land at Fordhall again, relying solely on natural animal muck as fertiliser. He let the grassland fields return to nature, and built up a herd of dairy cows and a pioneering yoghurt enterprise managed with his first wife May. Being among the first in the country to commercially make and sell live yoghurt they were soon supplying many famous London and Edinburgh stores and markets (read more about this on our history pages). Even whilst business was booming, Arthur always found energy for his research. He was adamant that farming could work in harmony with nature and he spent his whole life reinforcing this idea. It is this importance of sustainability that has been easily absorbed into the Fordhall Community Land Initiative today. 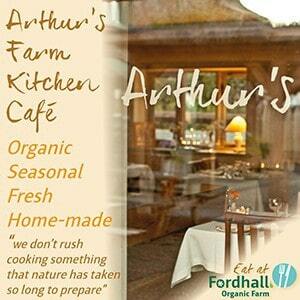 A Country Club was later introduced to help fund Arthur’s pioneering research into soil fertility and organics. This new venture welcomed thousands of visitors over the years – from families to groups such as University students, WI or school trips. 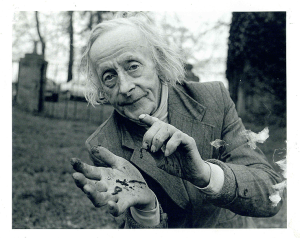 Arthur made it a priority to ensure that everyone left having learnt something about nature. The enthusiasm he held for farming and biodiversity was evident and he never tired of making people feel like they had stumbled upon a magical world. The dairy and Country Club ceased after the tragic death of Arthur’s first wife in the late 1970s. The farm went over to produce organic meats and the restaurant continued in the farmhouse. Many people still recount their visits to this unique and mouth-watering eatery. The room was warm and the atmosphere was high-spirited. Joints of meat were placed on the table and the guests were handed the carving knife – every meal was like a traditional Sunday roast. Arthur passed away in January 2005, at the commendable age of 89. 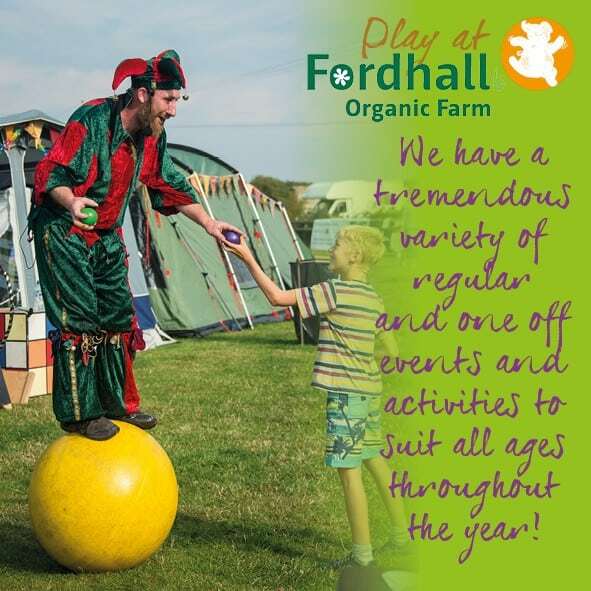 His life’s research on the relationship between farming and nature, and his passion to integrate people within this, has formed the ethos for the Fordhall Community Land Initiative. As a result of development pressure from a neighbouring German Yoghourt manufacturer, in the early 1990s the family were faced with numerous legal battles as their landlord fought to evict them. Fifteen years of continuous struggle took its toll on an aging Arthur and his second wife, Connie, both financially and physically. Although Arthur’s eyes always lit up when talking about his passions, and he stood his ground for many years, but he became exhausted by the constant fight to stay at the family home and the farm became dilapidated as vital funds were directed into legal fees. After months of negotiating and only two days before the family were due to be evicted Arthur’s youngest children, Charlotte and Ben, were granted a new short-term lease (18 months) for the farm in March 2004, despite being only 21 and 19 at the time. The fragile situation didn’t daunt the brother and sister team and they concentrated all their efforts on repairing the farm and making it viable once more. They understood the importance of their father’s work and were adamant that the decades of research and compassionate management at Fordhall would not be lost to development. From the outset there was a core group of supporters who gave up time to assist the new tenant farmers in both practical and professional ways. It was clear to all that Fordhall Farm was an essential asset and to lose it would be devastating to many. 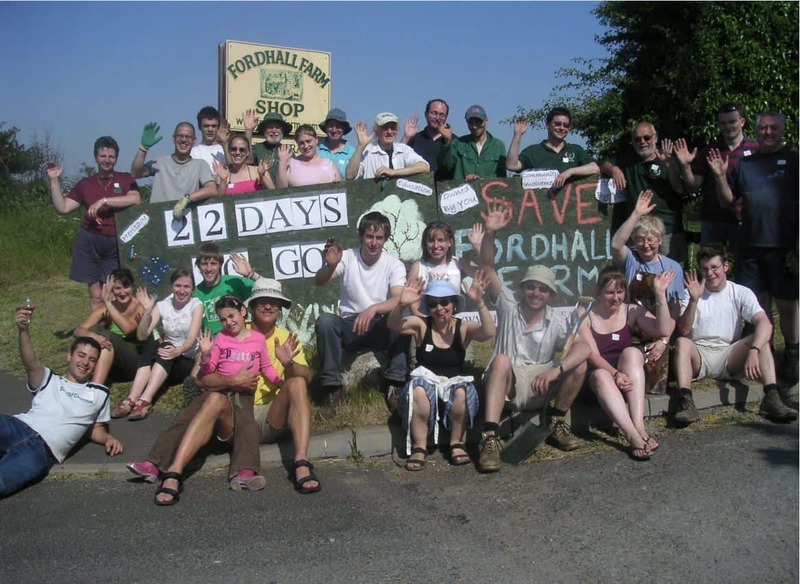 After much personal campaigning and sheer stubbornness by the Hollins Family not to accept defeat, the effort to make a serious attempt at purchasing the farm evolved into a key community group meeting in February 2005. This was attended by 26 people who all shared an interest in the future of Fordhall Farm, from conserving the natural landscape and organic heritage to realising the educational potential. 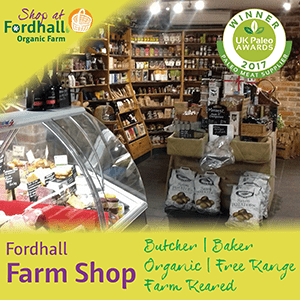 The meeting was incredibly inspiring and a unanimous decision was made to save Fordhall Farm and turn it back into the buzzing environment that it once was. Months of intense work followed, supported by many individuals and organisations who offered invaluable advice for free. The volunteer group expanded rapidly and regular Working Weekends were organised to bring the farm back into an attractive state. With the skills learnt and the many people involved, these volunteer weekends have come into their own and now occur every six weeks. The campaign owes its success to the volunteers who gave up their time and energy over and over again to this campaign, enabling the charity to raise over £800,000 in just 10 months. Now Fordhall is finally secure we can look to the future and focus on realising its full potential. 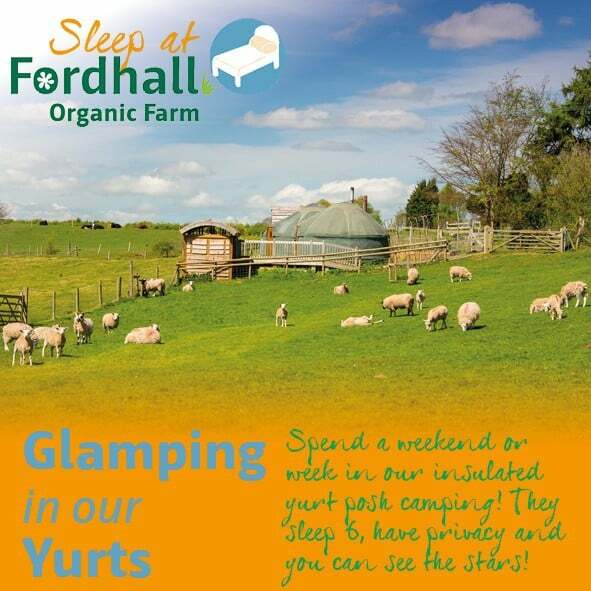 From attending exciting events throughout the year, to teaching traditional countryside skills, to simply watching Fordhall’s features flourish through the seasons – there is something for everyone. And the new facilities in the future Bunk House and Educational resource rooms will simply add to this. As the ground becomes steadier underfoot, the Fordhall Community Land Initiative epitomises the breaking attitude towards agriculture. No longer should consumers be disconnected from their food, but rather they should be given the opportunity to learn about the food cycle first hand and to be part of this growing phenomenon of community ownership.